Aston Martin is finally teasing out the specs behind its first all-electric sedan, the Rapide E, and it’s apparently going to be capable of hitting a difficult target the automaker set a year ago: a full lap of the historic Nürburgring, powered by more than 600 ponies. 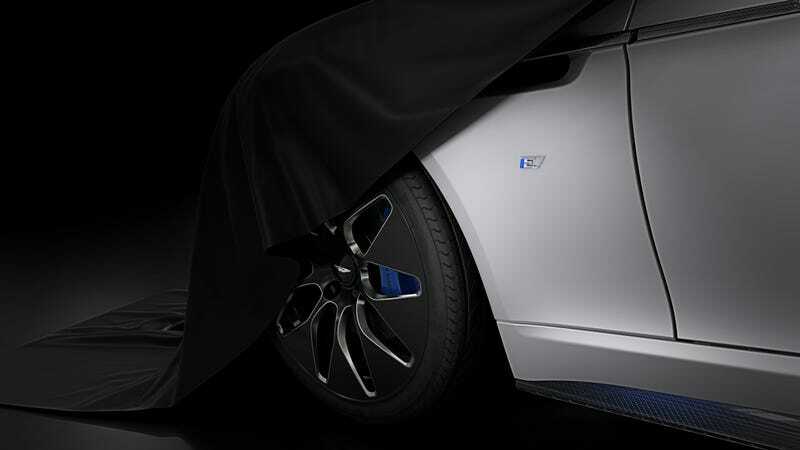 Aston unveiled the Rapide E’s specs in a news release on Wednesday that only offered a glimpse of the car’s front left wheel and fender. But it looks sharp—as it should! The electric sedan comes packed with a 65 kWh battery pack, and Aston says it has a range target of 200 miles under standards set by the Worldwide Harmonised Light Vehicle Test Procedure. It’s expected to withstand a charging rate of 185 miles per hour with a 400V 50kW charger. But the car has a 800V system that can enable a faster charging time of 310 miles per hour, when using a 800V outlet delivering 100kW. The Rapide E can zip along just fine, too. Aston projects the Rapide E’s top speed at 155 mph, with a sub-4 second 0-60 time. And the automaker underscored the car’s performance is maximized to remain more than capable no matter how much juice is left on the car. That includes the “ability to drive a full lap of the Nürburgring with absolutely no derating of the battery and the ability to cope with the daily demands of repeated hard acceleration and braking,” Aston says. As we pointed out last year, that’ll be quite the challenge, one Aston now has to hold itself to. The car will be built in limited supply, with a production run of 155 units. Customer deliveries are expected to begin in the fourth quarter of 2019.